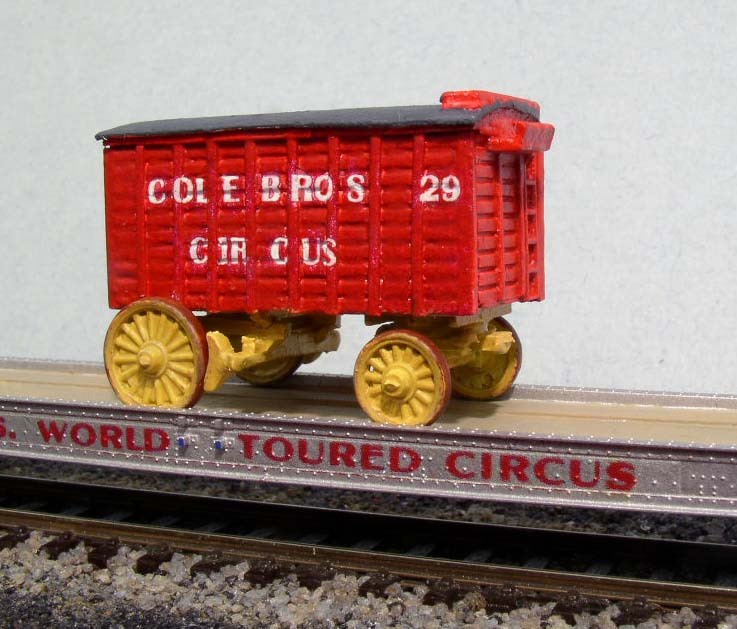 Announcing a series of resin, brass and custom-decal circus wagons in N! Economically priced! These can fill your your Micro-Trains and N Scale Kits circus flatcars with some more variety and color from the golden age of circuses in the pre-depression era. And you can even afford it. 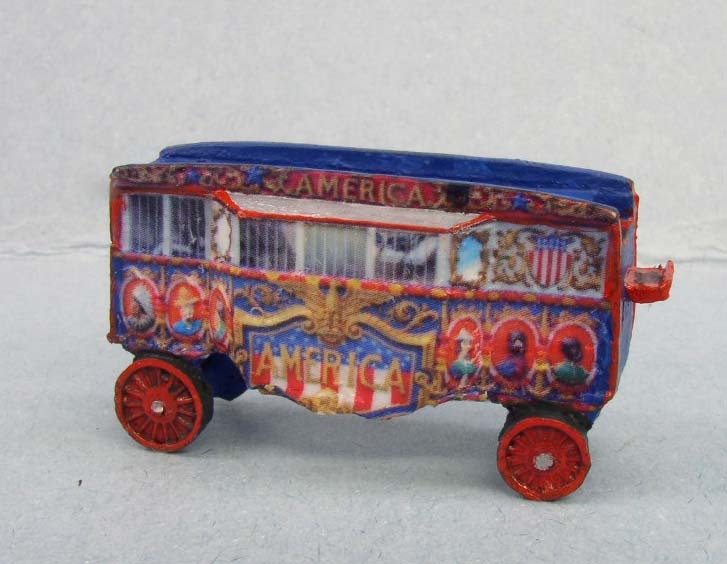 First up is a Calliope Wagon - used by a variety of shows but mostly by Cole Bros.
Next up is a Small Cage Wagon - patterned after a preserved wagon by Sells-Floto at the Circus World Museum. And the best is the Baggage Wagon - patterned after Ringling Bros #11, an outside-braced wood wagon later upgraded to rubber wheels. 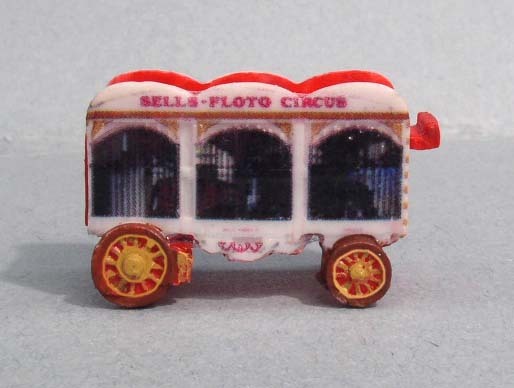 Nearly every circus had some of these, and they were the most numerous wagon style used for many purposes. 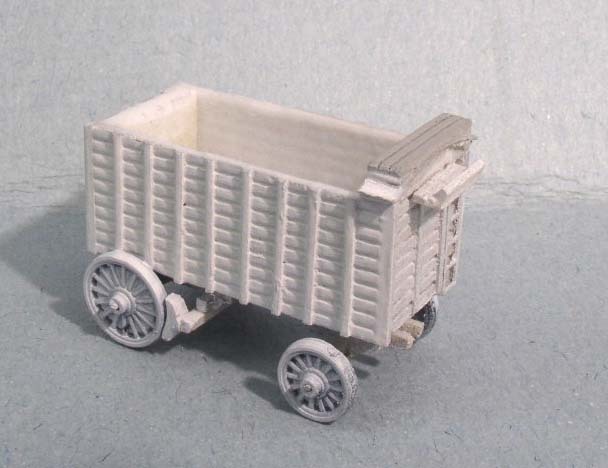 This wagon proved to be so difficult to decal with a single-sheet application method that I recommend individual alphabets or dry transfers. If you really want to try it anyway, I'll include the Cole decals that I made on request but to snuggle-down those into the ribs was far more difficult than I imagined so it's optional and not particularly recommended. If you find other sources - please contact me with links and I will post them here.